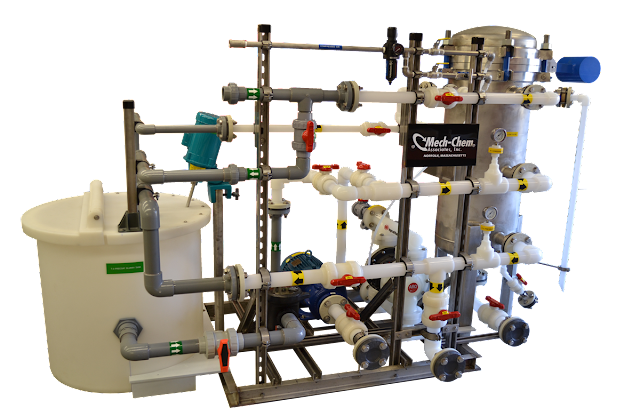 Closed filtration system for filtering nitric and sulfuric acids. Filter has passivated metal surface with polypropylene filters coated with diatomaceous earth for removal of fine carbon and metal particles. The chemical piping is fused Kynar pipe and fittings. The unique feature is that the system can be operated, drained, and rinsed without chemical exposure to the operation personnel.